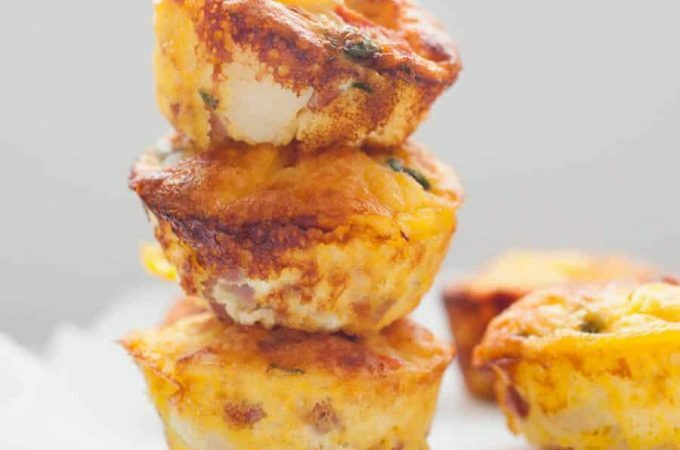 Simplify your breakfast routine with these Frittata Muffins. 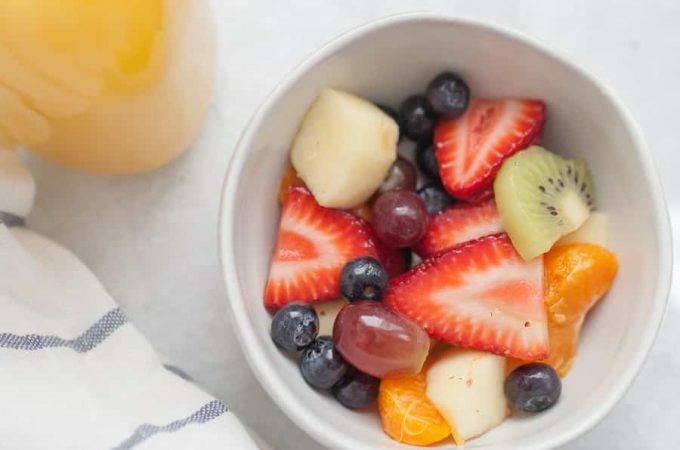 With this delicious recipe, you’ll have breakfast prepped for the week. 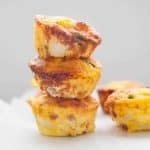 These Make Ahead Breakfast Frittata Muffins are packed with flavor and you can even customize them to use up the vegetables you have on hand. These egg frittata muffins are made with diced ham, breakfast potatoes, eggs, milk, cheese and red bell peppers. Such simple ingredients, but the flavor combination goes a long way! These Make Ahead Breakfast Frittata Muffins are based off a breakfast egg casserole that we make all the time. 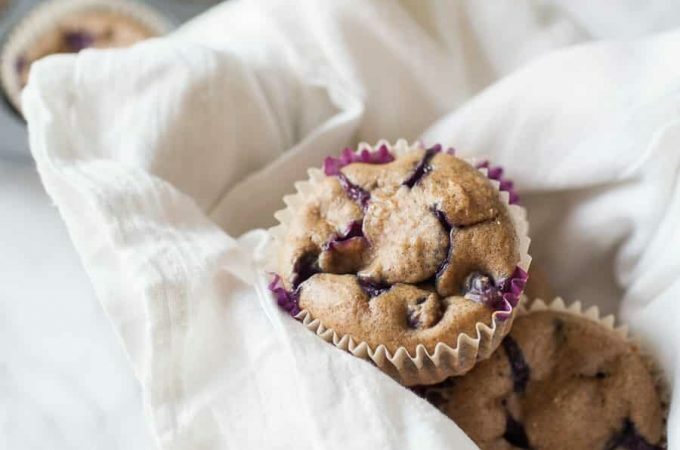 We love having breakfast made ahead whether that is these fritatta muffins or a sweet breakfast muffin like Healthy Blueberry Oatmeal Muffins. You can make these in the morning and have the rest ready for the week or make them after dinner, so there’s no cooking needed in the morning at all. They take about 35 minutes to cook and only a few minutes to mix all of the ingredients together with minimal chopping. 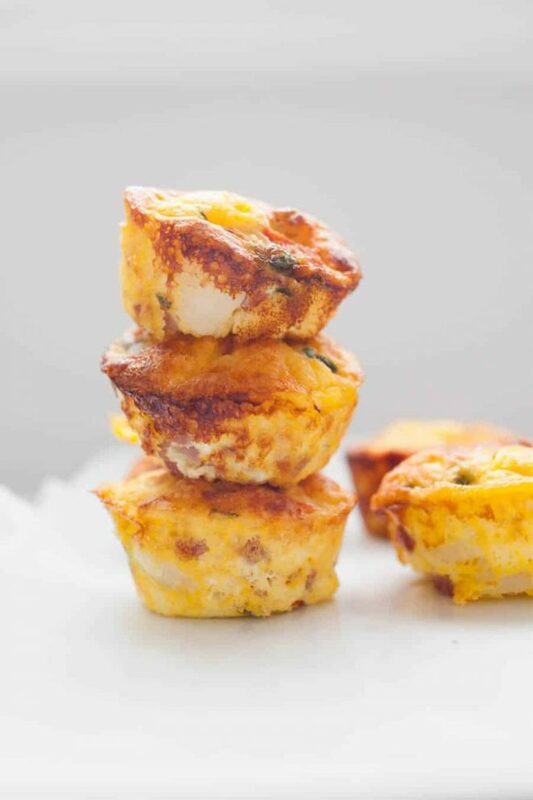 What ingredients do you need to make frittata muffins? How do you make frittata muffins? 1. Whisk together 10 eggs and 1 cup of milk in a mixing bowl. While whisking, be sure to break the yolks of the eggs as much as possible. 2. After your eggs are whisks together (most of the egg yolks are broken up and the overall consistency is a creamy pale yellow liquid), add in the remaining ingredients and whisk together. 3. Grab a glass measuring cup and scoop out the mixture into your glass. Then fill a greased muffin tin with mixture. As you’re pouring, you may need to use a spoon to get the filling out evenly into the cups. You want to fill your muffin tin almost to the top, leaving about a quarter inch for the muffins to rise. 4. Bake in the oven at 350° for 32 minutes, or until eggs are set. The egg muffins are cooked when the eggs are “set” meaning they have cooked solid. The egg muffins shouldn’t be liquid or jiggle if you shake the muffin tin. 5. Allow the egg muffins to cool in the muffin tin for 3 minutes, until cooled enough to handle. 6. Use a serving knife or butter knife to remove the egg muffin from the muffin tin and place onto a wire cooling rack. 7. If you are serving these right away, you can also move them from the muffin tin to a serving platter. 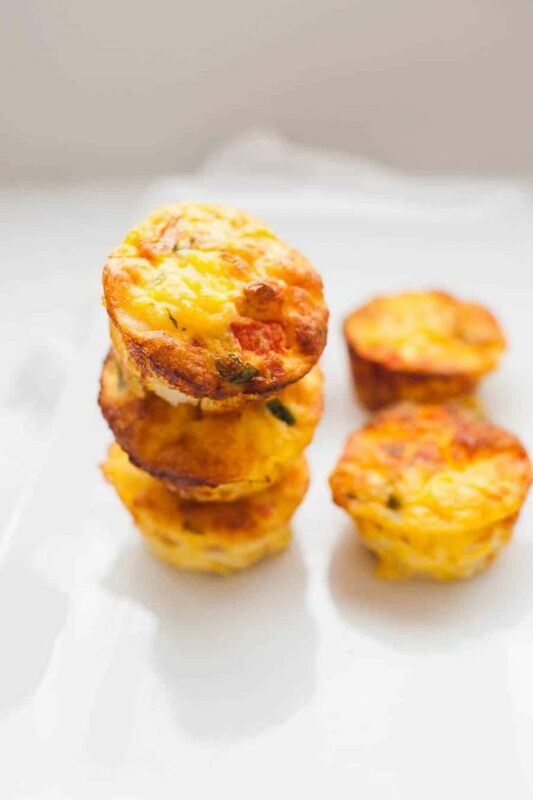 How do you store egg frittata muffins? If you’re storing for later, let the muffins cool to room temperature on the wire cooling rack, then store in an airtight container for up to 4 days. Reheat in the microwave for 30-45 seconds. Stored in the refrigerator in an airtight container, egg muffins last up to 4 days. 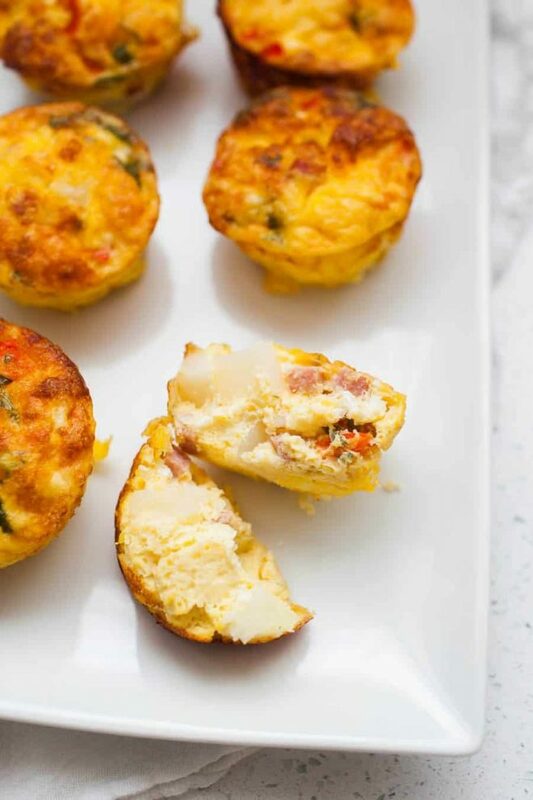 Can you freeze egg frittata muffins? Yes! Let egg muffins cool to room temperature on a wire cooling rack. Wrap egg muffins individually and store for up to three months. If you want to use a freezer bag or container, you’ll want to quick freeze the muffins first. This means place the egg muffins in the freezer on a baking sheet or your cooling rack for 15 minutes. Then you can move them to a container or bag. Quick freezing them helps to ensure that the muffins don’t stick together in the bag so that you can pull them out of the container individually. How do you reheat frozen egg muffins? Pull however many you need out of the freezer container and microwave them for 1-2 minutes, depending on your microwave. You can also pull them out of the freezer container the night before and put them in the fridge for easier and more even reheating. 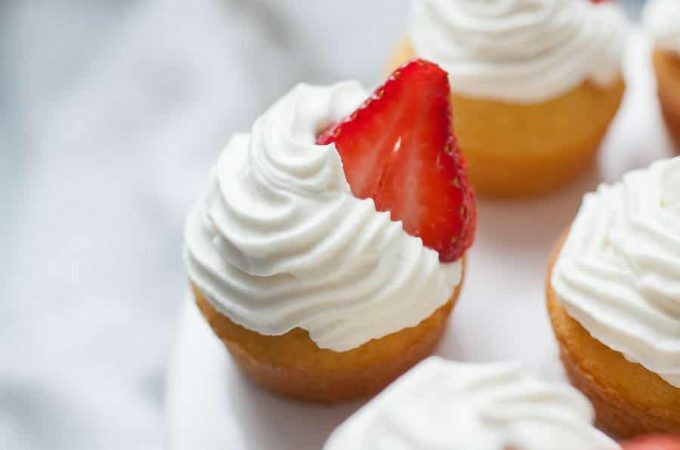 Can you make these dairy free? You should be able to substitute your preference of dairy free milk for these egg muffins. Cooking time may vary, so be sure to check your egg muffins to be sure they are cooked through. Can I make other substitutions for this recipe? Sure thing. Be mindful that it may not turn out as intended the first time around. If you make a substitution, scroll to the bottom of this post and comment and tell me how it goes. Then I’ll add the substitutions you’ve made here, so others will know if it’s a successful substitution. Omit the potatoes and substitute heavy cream instead of milk. Can I use other vegetables in this recipe? You can add other veggies into the mix as well! Just be mindful of any extra water content they may bring (like zucchini, eggplant, or tomatoes, for example) which may cause the egg muffins to take longer to cook. If you want to try another recipe, try this recipe for Turkey & Broccoli Egg Frittata Muffins. If you make this recipe (especially if you make a substitution!) scroll down and comment below to let me know how it goes. I always appreciate ratings as well, as that helps other people find this yummy recipe! 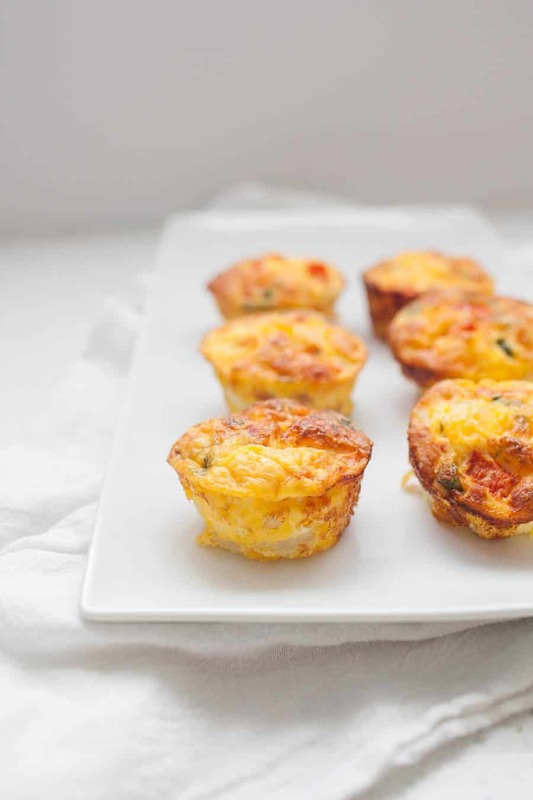 For a new mama: These Make Ahead Breakfast Frittata Muffins would also be a perfect gift for a new mama who needs easy nourishment! Wrap these up in a disposable pan, bring a side of some fruit or roasted potatoes and a bag of coffee for a new mama. For someone who just moved: When you can’t even find the box with the shower curtain, these muffins are a perfect breakfast solution. I made these for a birthday brunch my daughter was having for my one-year-old granddaughter. Everybody loved them they were a hit! I mixed them in a glass bowl exactly like the one pictured in a link that you gave. When you say to pour them into the muffin tins I did that but it just went everywhere. How did you manage to do that and get evenly distributed items in each muffin? I am looking to make these for my breakfast for the week. I need something easy I can grab and go. 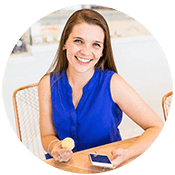 Your directions say to store in an airtight container – did you store at room temperature? Do they need to be refrigerated or frozen? Do you throw them in the microwave before eating? No definitely store in the fridge. I’d let them cool a bit before putting them in the container, then store in the fridge for the week. And yes, pop them in the microwave for 30-45 seconds and enjoy! I know, I dislike comments where they ask you to ‘ok’ other ingredients/substitutions! I’m on the Keto diet, which eliminates the potatoes. Do you suppose I could substitute some blanched almond flour instead? I’m at my wits end to find good tasty recipes on Keto! Well, maybe I’ll just try it myself and let you know! Yes, perfect. I simply replaced the milk with heavy cream, and voila! Keto Breakfast Frittata Muffins! Yay!! Glad it worked for you. can these be served either hot or cold? My son tends to like them cold 🙂 As long as you’re following safe food handling, it should be fine! Totally a personal preference. do i have to saute the peppers and potatoes just to soften or will they cook completely in the muffin tin. i have some people at work that do not like crunchy veggies. I use the Simple Potatoes brand potatoes, which are already kind of softened, so those are definitely cooked. You could definitely saute the peppers to be sure they are cooked to your preference, but they are usually soft!